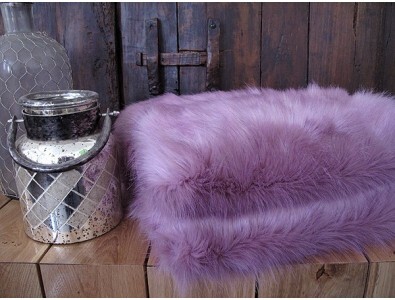 Our long haired range of faux fur throws is a collection of pure luxury and style. Usually made with a dense undercoat and added long fibres, the long haired faux fur fabrics are close representations of real fur in many instances. We have both bright coloured fur blankets and more subtle greys and browns. There are pastels, with the addition of our Baby Blue and Candyfloss faux fur designs, or plain black, brown, or white throws. All of our faux fur throws create real design statements wherever they are used; either as a bed throw or on a sofa or chair.